I'm Bob Missel, as a long time collector and hobby enthusiast I have created this web site to promote numismatics in Nebraska. The site features a listing of local coin shows in the area and provides information on local coin clubs. I also offer helpful LINKS to some of the best resources in the hobby. 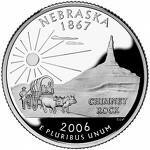 I am a life member and past president of the Nebraska Numismatic Association and the Fremont Coin Club of Fremont Nebraska. I am also a member of the American Numismatic Association ANA # 1170012 and a 2015 recepiant of the Presidential Award for excellence in the hobby. As a hobbyist I buy, sell and offer apprasial services. My specialties are old United States coins and currency. If you are looking for assistance with a collection you can reach me by leaving your contact information on my contact page or by calling me at 402-317-7832. Any comments of suggestions are welcome and may be left on my contact page.